There is a story behind the Yogi Bari baritone ukulele, but it’s a little long, so I’ll give you a break. I do have a wood story though. 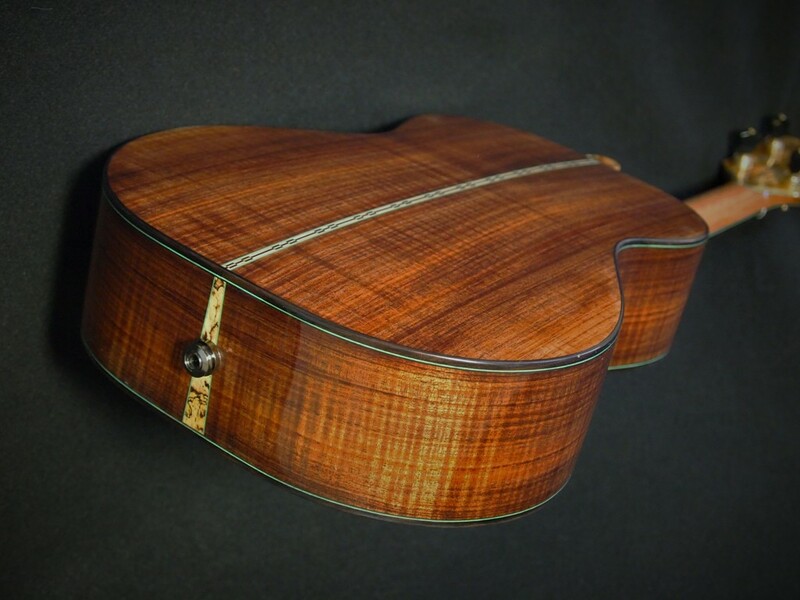 This instrument is made from Tasmanian Blackwood sourced from Gilmer Wood Company in Portland Oregon. I obtained the last of their stock of this wood over 12 years ago and occasionally I make an instrument from it. 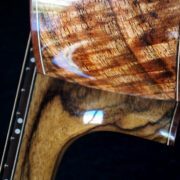 I do not know if this wood originated from Tasmania, New Zealand or Australia. I’m guessing that Gilmer had this wood in their stacks for at least 5 years or so prior to my purchasing so the wood has been air drying for at least 19-20 years. 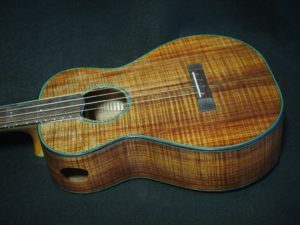 Every ukulele that I have made from this particular stock has had an exceptional tone regardless of the size of the instrument. 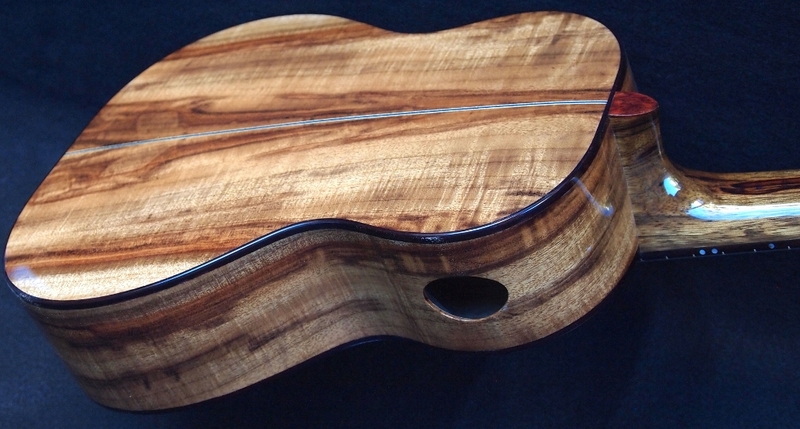 Tasmanian Blackwood is a little more dense than most Koa wood especially the lighter colored Koa. The appearance is much the same and could easily pass as Koa. 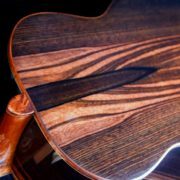 All of my stock comes from the same tree and exhibits the same curl, color and grain pattern. 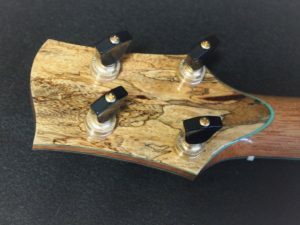 I may have found a new source of Blackwood but for the most part there does not seem to be much export of this beautiful tonewood anymore so I’m using what I have sparingly. The Yogi Bari is a basic build in most respects. I did use a Washburn style back strip on this instrument and complimented that with some of my Asian Spalted Tamarind Wood. Green was requested for the accent color and I amplified with Mi-Si. Did someone say “downward dog”?